It all looks perfectly lovely!! 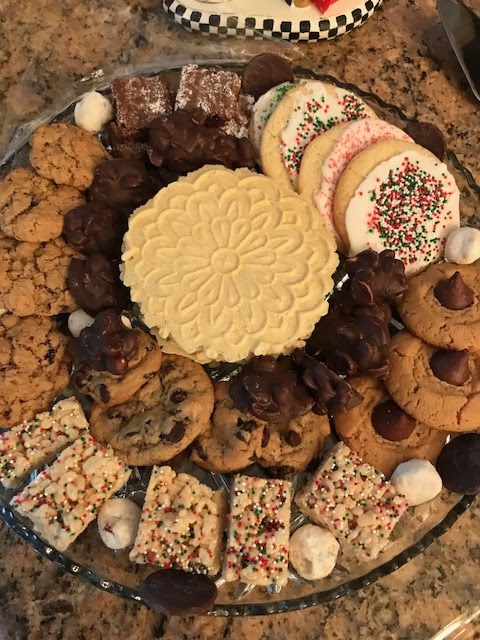 I finished my decorating last night and am knee deep into baking today. Tomorrow I host a Christmas Tea and then we will go back to the ranch for a few days to rest. We work hard when we’re home so it’s nice to get away. Merry Christmas! What a wonderful, heart-warming post, Celeste! You always outdo yourself...your works of art are as beautiful as you are. 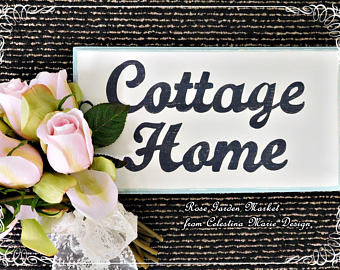 I love all the sweet touches that are part of your home...inside and out!!! So good to hear from you and the pictures are just gorgeous. I do love Etsy and am about to run over and check out your shop. Merry Christmas! very very pretty decorations.. but I miss you post.. Please post often.. love n hugs..
Beautiful Celeste. You have outdone yourself. Everything is so gorgeous. Now that you are done with all the decorating wishing you lots of fun and peace in the following days. Enjoy all the season has to offer. I simply enjoyed reading your news and viewing the beauty of your home. Your creativity, Celestina, always amazes me. Our master bedroom Christmas tree is up and decorated with the beauty of your hand painted hearts and looks as beautiful as ever. I added the beautiful ornament that arrived in the mail today to that tree. Thank you so kindly! Sending Christmas love and blessings to you and your loved ones. 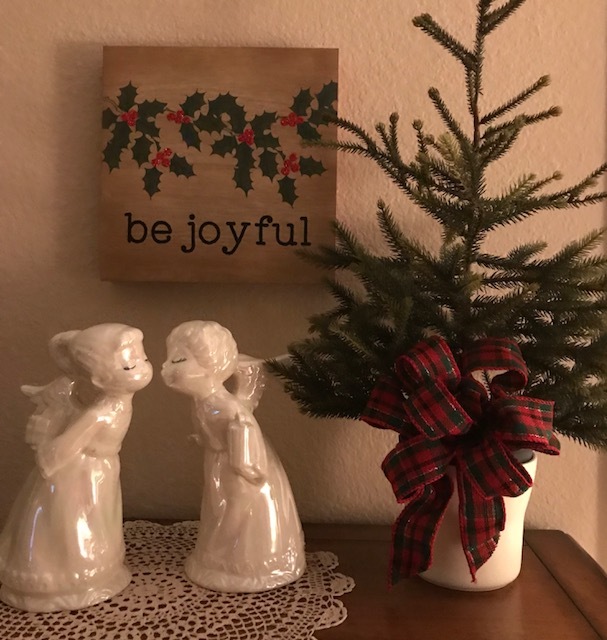 thank you for this so warm, wonderful and lovely Christmas Post! I am so glad, you will stay here, even it is once a month! Have a blessed and wonderful Christmas time, take care and MERRY CHRISTMAS, my dear friend! Beautiful decorations and house !!!! I wish all the best ! Have a happy Holidays season ! You have so much going on, how do you do it all? 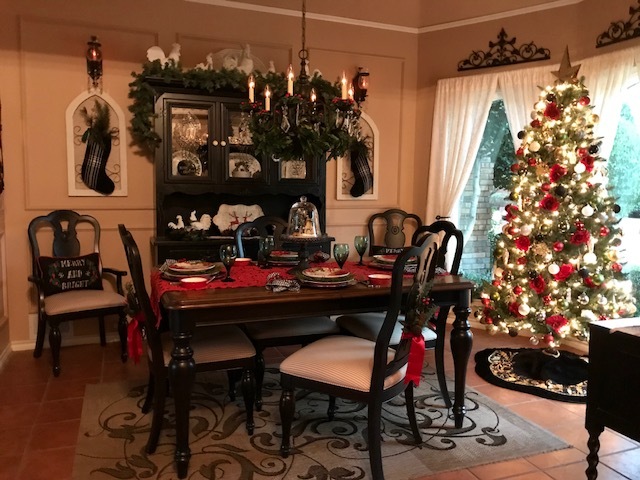 Your home is a masterpiece, everything in it's place inside and out, and is perfectly decorated, (every little corner) for holidays throughout the year. Your design work is truly beautiful and stands out among the rest. It's always a joy to scroll through your posts and images. Wishing you the best in the new year and continued success! I'll look forward to seeing your new designs too. So glad you're on IG! Enjoy the holiday season, Merry Christmas to you and your family! Sending love and hugs! Your home, both inside and out, is as lovely, warm, and beautiful as you are, dear Celeste!! 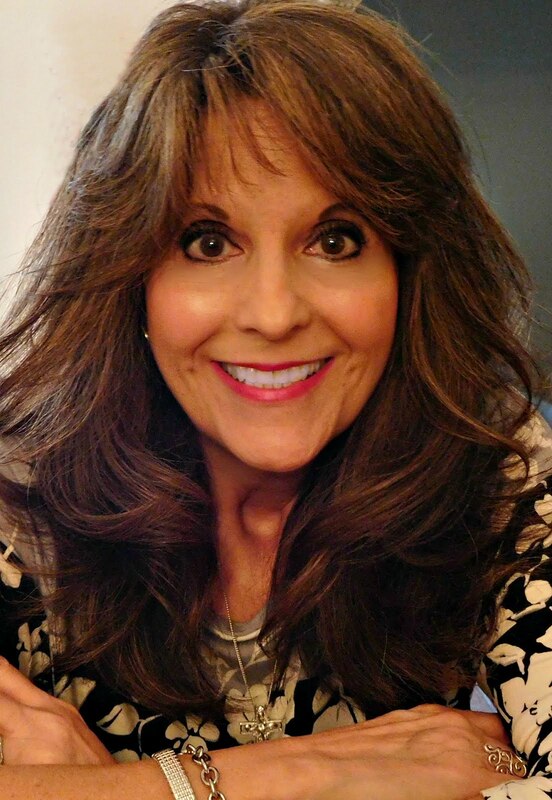 I am thankful that you are still sharing your posts with us on a monthly basis. I love getting inspiration from you! You are such a kind, gentle soul, and I am happy to know you. 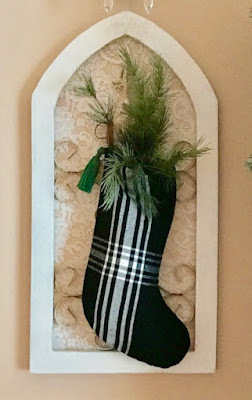 May love and blessings spill from your stocking, too! Merry Christmas. I love visiting here and seeing what you have been creating. 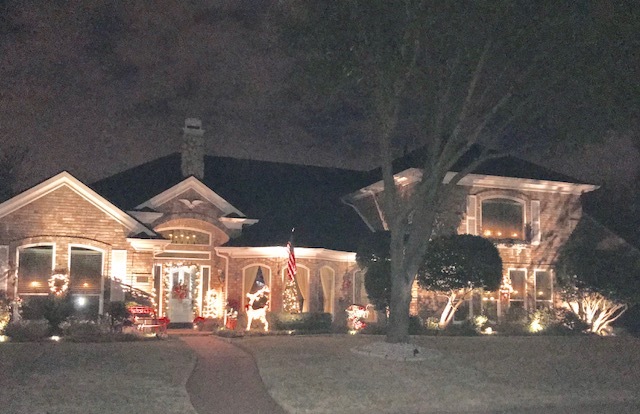 Your home looks wonderful all decked out for the holidays! Have a wonderful Christmas! It's always a good day when there's a blog post from Southern Day Dreams. So much eye candy and great ideas and inspirational thoughts. 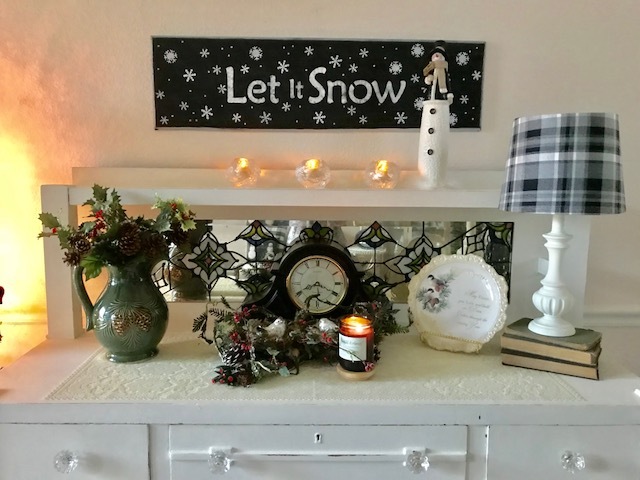 Your home looks beautiful for the season! Merry Christmas dear friend! Your home is so beautiful and decorated in the best way ever. I'm going to miss your more-often posts but will settle for monthly. Enjoy the season and have the happiest new year. 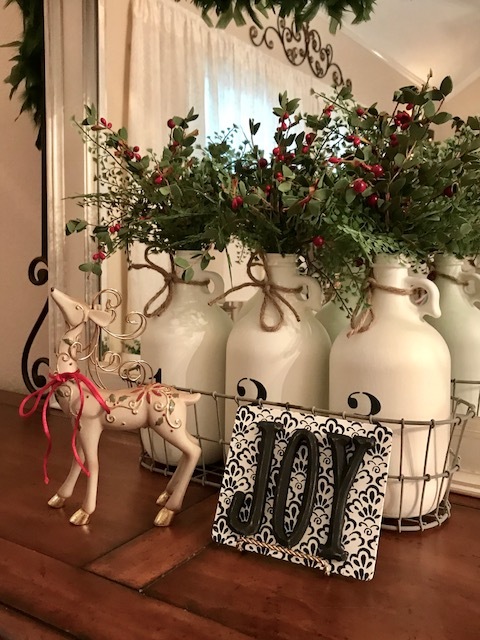 I always love seeing your home with the season change and all...and your Christmas decorating is absolutely beautiful. I wish you and Larry and your entire family a Blessed and Happy Christmas and New Year!! 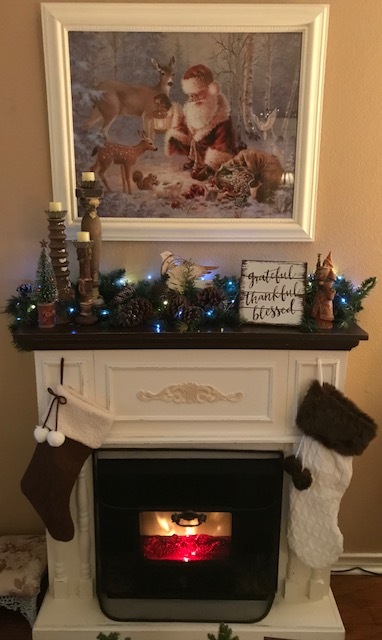 Dear Celeste ~ So good to see a post from you of your lovely home decorated for Christmas. Oh! Marie your home is so beautiful! It was so fun to see the whole of it and all of your beautiful touches you are so talented. Have a very Merry Holiday Season! Beautiful as always. Love your signs especially the Joy one. Wow, you really outdid yourself again! Your home looks just gorgeous all decked out for the holidays. I love all of the festive touches you've added to every nook and cranny. Thanks so much for the inspiration, love your stenciled signs! And your front porch and exterior looks amazing too, and so welcoming! I'm sure your's is the most beautiful home in the neighborhood:) And I love the beautiful picture of you, too!! 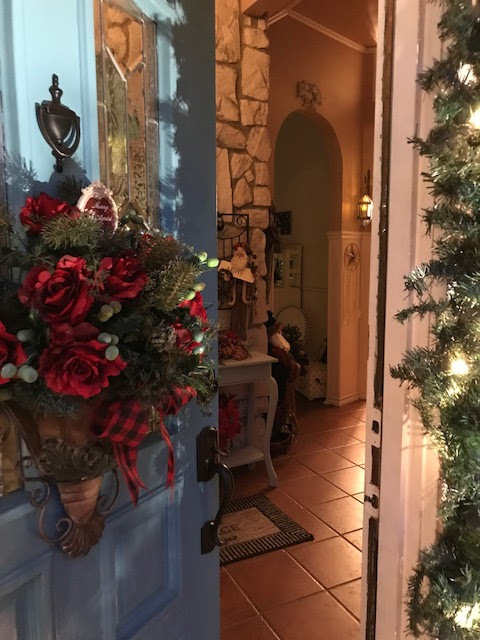 Your home looks lovely and festive for Christmas, Celestina. 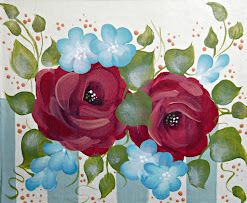 I love all the RED you have in your décor. I especially like those kissing angels - they're so cute. 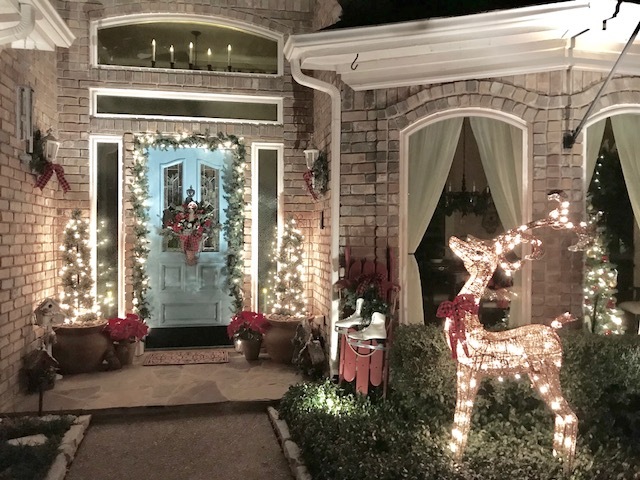 Your house outside looks charming all lit up with Christmas lights, and the reindeer really makes it merry. The "Let it Snow" sign is delightful. Nel got a lot of snow in Georgia this week, and her dog loved playing in it. You even have greenery on your piano, so pretty. It's so nice to hear songs playing on the piano. Wishing you a Merry Christmas, Celestina, and I thank you for your friendship all these years in blog land. Beautiful post! I love all of your projects! The signs are so great. Have a wonderful, Merry Christmas!! Really cute ! Nicely decorated !! 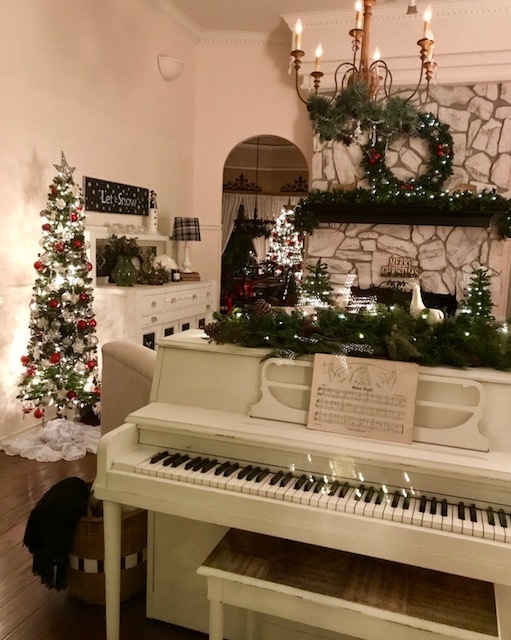 Dear Celeste you have done such a wonderful job in decorating for the Festive Season throughout your home inside and out! 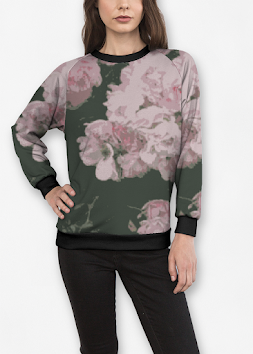 It is always such a pleasure to read your blogs and what you are working on! I wish for you and yours a most wonderful Christmas and a New Year fulfilling many of your hopes and dreams. I do understand about how life takes us in different directions and I wish you will with all of them. I will still pop in to read your monthly Newsletters too! So charming and lovely and well done! Your home and decor always looks so beautiful! How fun to get a peek of it all at Christmas! Wishing you a Merry Christmas a very wonderful 2018 my friend! Merry Christmas Celeste, I love all your beautiful touches throughout your lovely home. I need to make a new post on my neglected blog. 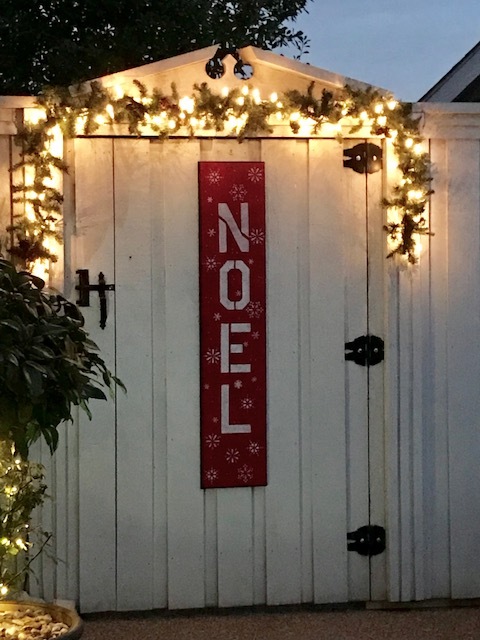 You have done such a beautiful job with all of your handmade Christmas and holiday decorations!! Your house looks gorgeous. Enjoy and have fun creating. Wishing you a Merry Christmas and a Happy New Year. Everything looks perfect! 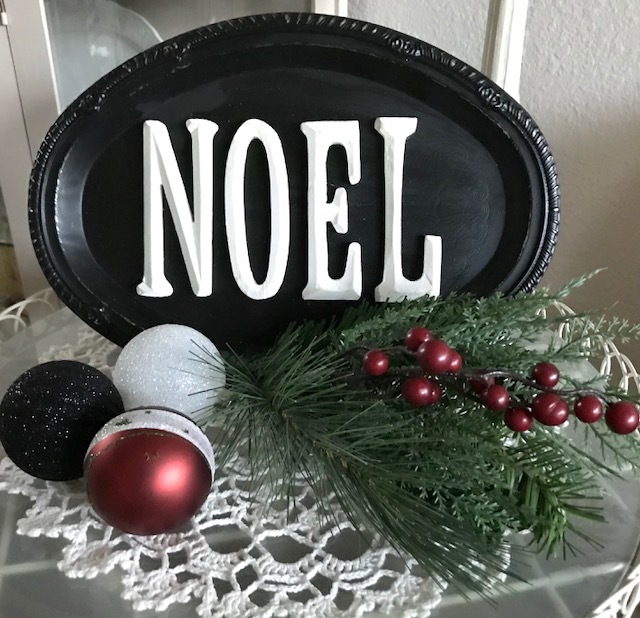 I'm swooning over that Noel tray. My dearest Celeste, your home is fairy, cozy and very festive. Lindas imagens natalícias. Bom fim de semana. Celeste, not only are you beautiful but so is your home. You do such a wonderful job decorating your gorgeous home. Thanks for all the quick holiday projects you provided...you are so darn creative. What a wonderful, heartwarming post - thanks for pointing! Desejo um Feliz Natal e um Novo Ano muito abençoado pra você e os teus. Que os sinos do Natal sejam mensageiros de Boas Festas, e que 2018 seja repleto de realizações. Um beijo e um sorriso embrulhado num abraço. 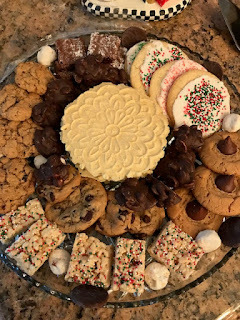 How lovely your home looks, so warm and inviting, and I enjoyed all your decorations (and that plate of cookies :-). Happy Holidays to you and yours. Beautiful, beautiful are YOU CELESTE! First of all, thank you so much for coming by to say HI at my blog post, and secondly, reading your words here are a comfort to me, knowing that I am not the only one who has struggled with letting go or rather, changing my blogging life. Our lives take turns and with God's grace, we go down those paths with great memories are our anchors. Thank you for always being a graceful angel.YOUR HOUSE LOOKS FANTASTIC! And my sister in law has experienced first hand, those horrid fires in Santa Rosa. We hope our California friends and family will have a better 2018. 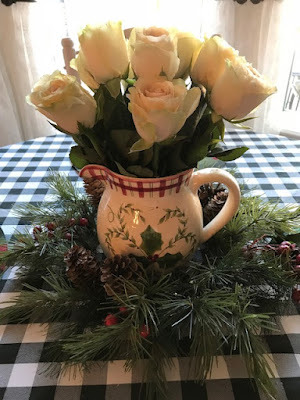 Your home is lovely for the holidays! Merry Christmas! 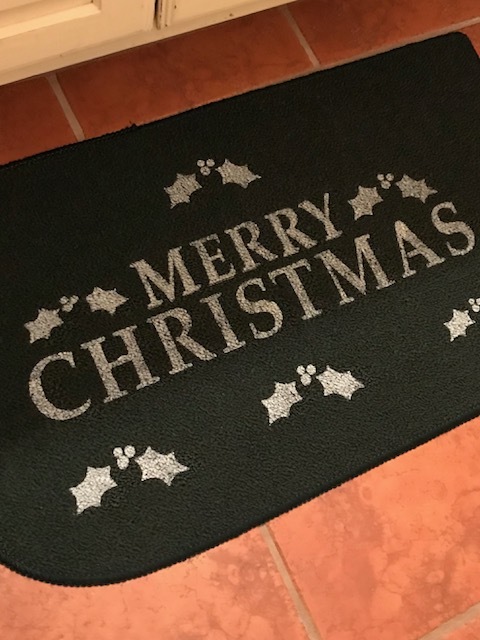 Such a beautiful post you have shared, love your gorgeous home with all your amazing Christmas decorations. Many thanks for your friendship and the kind mail that arrived - your card is on its way and sorry if it is a little late. 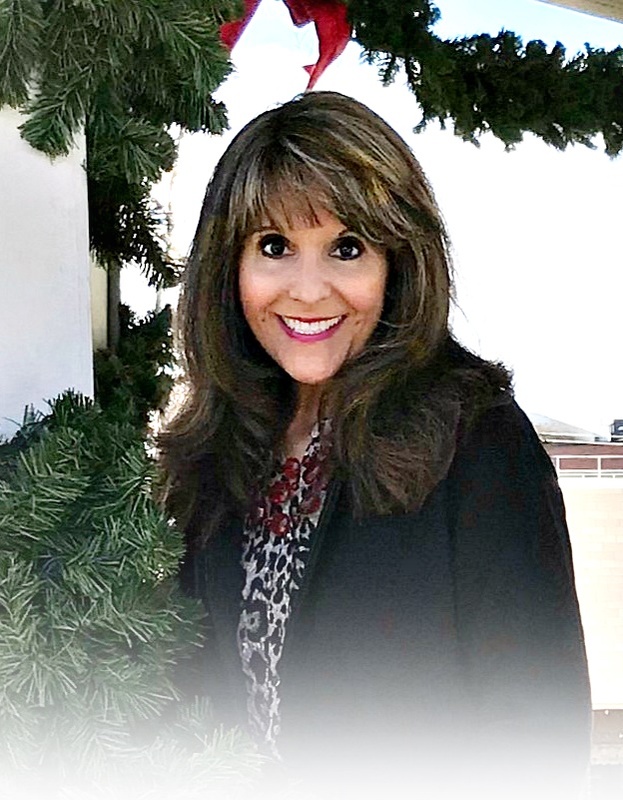 Happy, healthy and merry! I'll be looking for you on Instagram. I'm #buttercupnyc. Such a lovely post, your home is so lovely and elegant!! You have so many wonderful things going on, so happy for you and wishing you many more blessings in 2018! Dear Celestina Marie! Oh, my! I got my BEAUTIFUL package from dear Stephanie that was filled with your beyond-gorgeous creations!! They are truly breath-taking! I was SO surprised and thankful for my dear friend's kindness and generosity and love! Your work is nothing short of AMAZING!! My husband picked his favorite ornament, my son picked his favorite, and I picked mine. We will never look at these precious creations without thinking of dear, loving Stephanie and of YOU! Surely God has greatly gifted you, and I feel SO honored and blessed to possess some of your wonderful handiwork. I will cherish it dear to my heart, and I cannot thank you and Stephanie enough for the grace and love you bestowed upon my family and me through this...right down to the very packaging and wrapping....ALL of it was done with such care and loving detail. The light of Jesus' love shines through you and all you do! I am just so grateful!! Happy New Year to you!! I don't know how you keep up with it all Celeste! Your home is just so cozy and welcoming, and I enjoy all your posts on Instagram! It really is a wonderful way to keep up with dear friends. I wish you well with all your endeavors, what a blessing to be able to stay home, create and share your passion with others. I enjoyed your tips at how to make some easy DIY projects with things that can easily be done without a lot of expensive tools or supplies. I have plans this year in my garden to make a lot of fun signs to hang around it. Thanks for the great tips on all the signs :) I wish you a blessed and wonderful New Year, my friend!